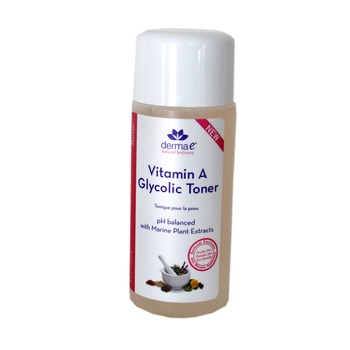 Derma e Vitamin A Glycolic Toner is pH balanced with marine plant extracts! Helps remove most remaining traces of cleanser residue and impurities, rebalance skin and reduce the appearance of your pores. 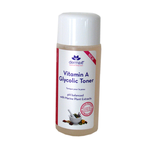 Rich in Vitamin A and marine plant extracts, this pH violence to formula leaves your complexion brighter and refreshed. After cleansing, dampen a soft cotton pad with toner. Gently wipe the face and neck in an upward direction. Your skin is now ready for your favorite Derma E moisturizer.